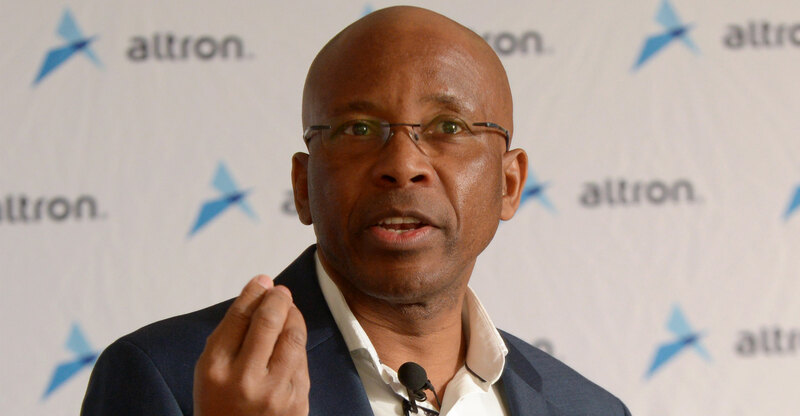 Altron has resumed dividend payments to shareholders, sending the group’s shares higher on the JSE on Thursday. It’s the first time it has paid a dividend since 2016. The technology group said earnings before interest, tax, depreciation and amortisation climbed by 16% in the six months ended 31 August 2018 on the back of a 44% leap in revenue. It has reduced its debt levels and completed the sale of non-core assets, it said. “We have delivered on our stated goal of double-digit Ebitda growth, with the majority of the group’s operations producing Ebitda growth in excess of 20%,” said CEO Mteto Nyati. The offshore businesses performed even better, delivering 57% growth in revenue and a 35% improvement in Ebitda. Total revenue was R9.8-billion, while Ebitda was R686-million on a normalised basis. Normalised headline earnings per share grew by 25% to 71c. The interim cash dividend is 28c/share. The Bytes UK business secured a five-year, £150-million contract with the UK’s National Health Service, while the cross-selling of Altron’s South African CyberTech offering into the UK market is gaining traction, he said. “We have now concluded the disposal of all controlled non-core assets. This allows us to focus the business fully on ICT services and solutions and enables us to position Altron as a trusted advisor for our customers’ digital transformation journeys,” Nyati said. The group’s net debt position of R1.4-billion was a “significant improvement” on the 28 February year-end figure of R1.9-billion due to increased cash generated from operations (R720-million compared to R598-million for the prior period), as well as better working capital management. This resulted in a 220% increase in free cash flow to R295-million, which allowed the group to allocate R249-million towards repaying its long-term loans during the period.